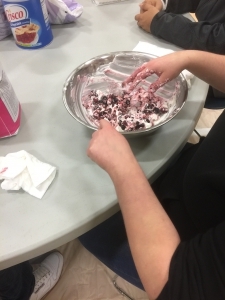 Traditional foods shared among participants. Covenant House Alaska (CHA) is a shelter for homeless and at-risk youth between the ages of 13-20 located in Anchorage, Alaska. Although the shelter is located in the state’s metropolitan hub, youth from all over Alaska come to its doors in need of support and encouragement. 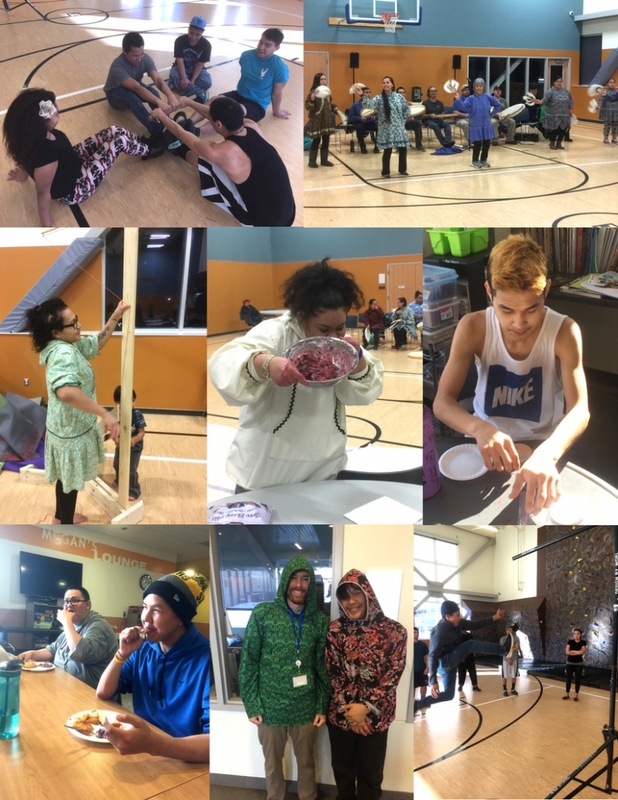 Roughly half of those receiving services from CHA are of Alaska Native heritage, and CHA firmly believes that the opportunity to learn about and experience cultural traditions and practices is invaluable as a means for youth to develop self-esteem and build resilience in the face of life’s adversity. 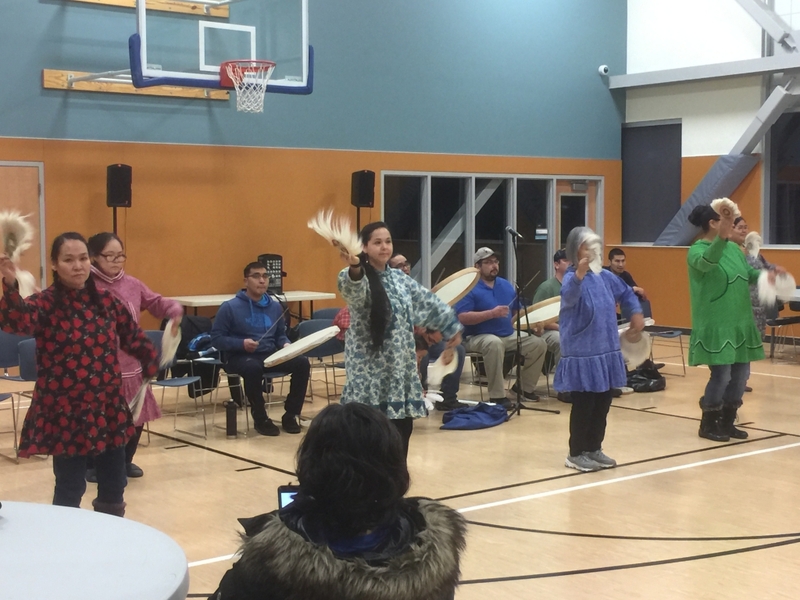 Thanks to funding from The CIRI Foundation’s (TCF) Heritage Project Grant, CHA was able to enhance its programming by working with culture-bearing organizations and individuals within the Anchorage community. These resources have provided CHA youth with much needed exposure to Alaska Native values, traditions, practices, spirituality, music, dance, games, cuisine, and history over the course of the last year. Many youth who have been raised in villages of rural Alaska come to Anchorage seeking opportunity, but find themselves without a reliable support system to help guide and encourage them through the vast cultural differences that exist between this environment and that from which they came. This project offered occasion for youth to take part in experiences that could alleviate a degree of the culture shock associated with such a significant change, as well as some of the homesickness youth often express when they are removed from the cultural practices and traditions that are an integral component of their identities. Throughout the project, youth who had appeared to be disengaged, guarded against, or uncertain of how to interact within this new environment were observed to approach the facilitators of numerous cultural groups, and open up to them about practices they had appreciated while growing up in their places of origin. These moments served as the beginning of open dialogues with youth who had recently come to CHA from rural Alaska, and a conduit through which trusting, positive relationships with caring adults could be formed. A number of CHA’s residents who are of Alaska Native heritage were raised in more populated, urban areas of the state and may have become disconnected with their culture as a result of separation from families and traditions. Youth in these situations often seemed highly interested in participating in any opportunity to learn about or practice traditional ways of life that they had not witnessed during their urban upbringing. Once again it was observed that many youth who had typically chosen not to engage in groups and outings were more likely to do so when the activity was rooted in Alaska Native culture. These youth felt comfortable asking questions and sharing information with the culture group facilitator, a trend that carried over into relationship-building with the CHA staff in attendance. Non-native Youth residing at CHA also benefited immensely by the opportunity to be exposed to the beauty of different cultures in a positive, structured, and inclusive setting. 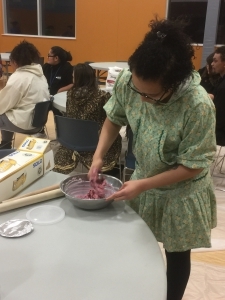 These endeavors may have contributed to dispelling inaccurate, negative stereotypes about Alaska Native peoples while simultaneously fostering an increased appreciation of cultural diversity in the future leaders that are today’s youth. CHA has provided support to Alaska Native youth in need since opening its doors in 1988 and will continue to do so. 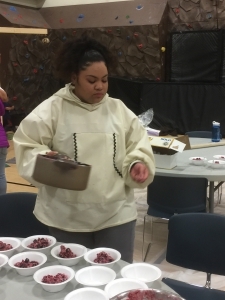 This project has allowed CHA to dramatically expand its ability to tailor positive interventions in the lives of Alaska Native youth in a comprehensive and culturally sensitive manner, which would not have been possible without the valued support of TCF.